Many people (among you and of course also among us) have been expecting it for a long time: the Tame iPhone app. Since Friday, it has been available in the App Store. Download it for free here, try it, and spread the word! We want to make Twitter more accessible also to those people who have felt overwhelmed by the mass of information so far. Thus, the Tame iPhone app is truly different from the Tame you know from the web. 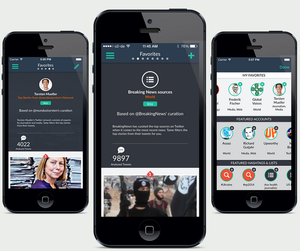 Just imagine you had a news app based on the current trends in your network or other people's networks on Twitter. The best thing is that even non-users of Twitter may use the Tame app and "subscribe" to networks of select users. In so doing, users can see Twitter through the eyes of journalists like Mike Butcher, who have built interesting networks on Twitter over several years. Consequently, the iPhone app is a complementary product for the consumer market, but it is also intended to interest people in our B2B product. The German version of the Wall Street Journal has already reported on the launch of the Tame app. In our last investor update, we had already told our Companists that we wanted to become more "mobile." The rationale behind this was that in the U.S., we experienced that the mobile market is growing very quickly and has huge potential concerning the distribution of news. 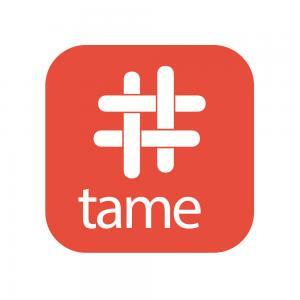 However, a web application full of features like Tame cannot easily be transformed into a smartphone app. Even though our responsive design had already enabled users to use Tame on mobile devices, there was still much work to do before our dedicated smartphone app was ready. To keep the app simple, we asked ourselves which of our features would be most suitable to become the core of an app. For this purpose, we already analyzed how our existing users use Tame. The result was that many of them focused on reading the links or articles that were shared by most people in their own network. Based on this result, we first developed the Daily Digest feature (German only) in the spring, but at the same time, we started working on the app. After roughly half a year, the app is now finally available in the store.